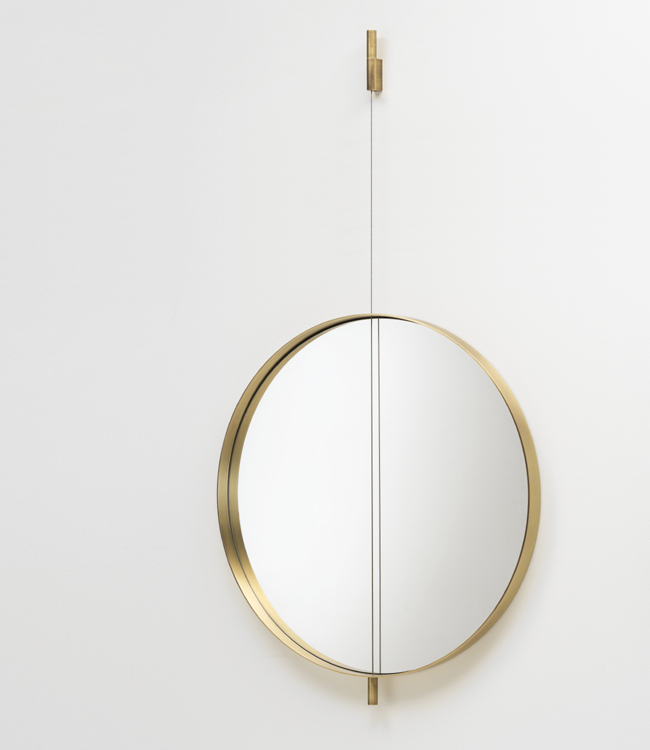 An elegant study in geometry and movement, the Galileo Mirror is in a state of constant balance. It is like a pendulum, gracefully suspended from its mount by a thin wire that bisects the circular design. Its unique design allows it to swing, poetically reflecting the world in its many facets. 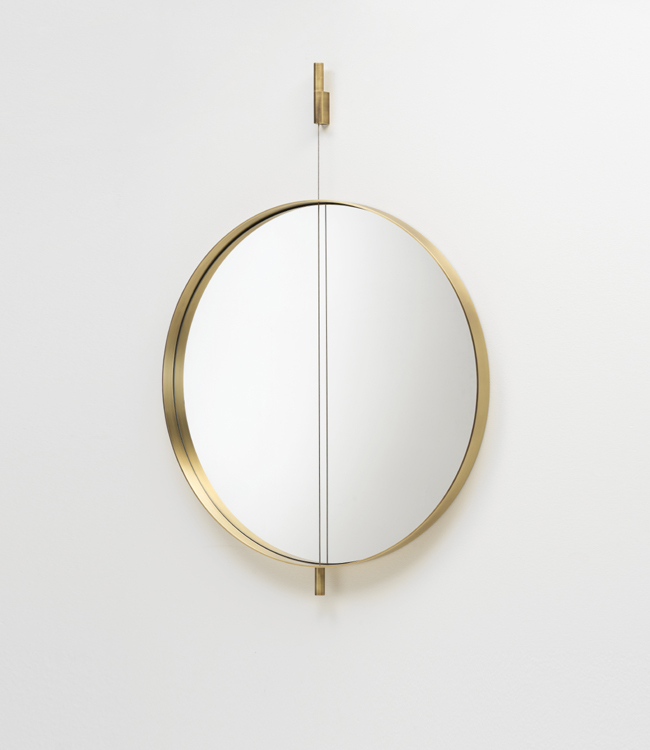 This play on balance, and physicality is captured in the mirror’s name; named after the Italian scientist and scholar Galileo, the mirror is an homage to his pioneering observations that laid the foundation for modern physics and astronomy. 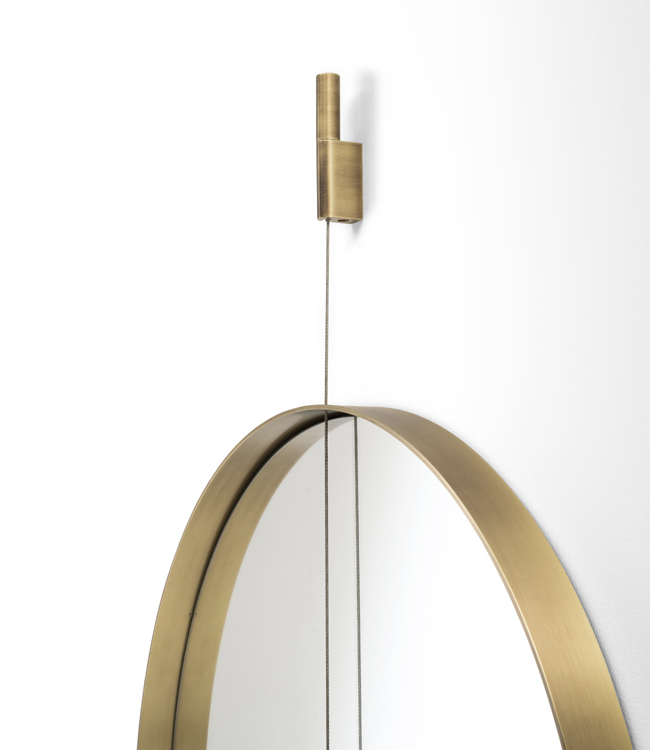 The timeless mirror features a design that has been reduced to its most essential elements. 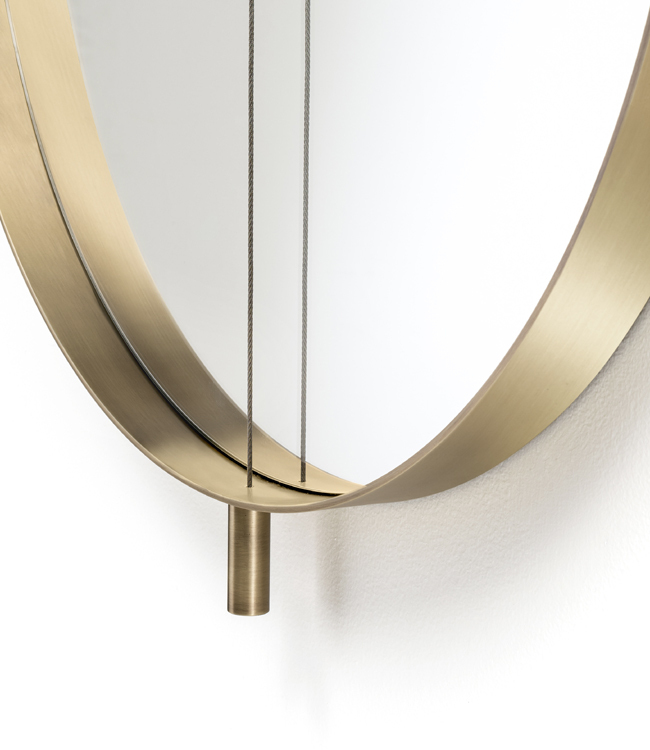 Surrounded by a slender bronze-finished steel frame, the mirror is pure in its geometry and materiality. 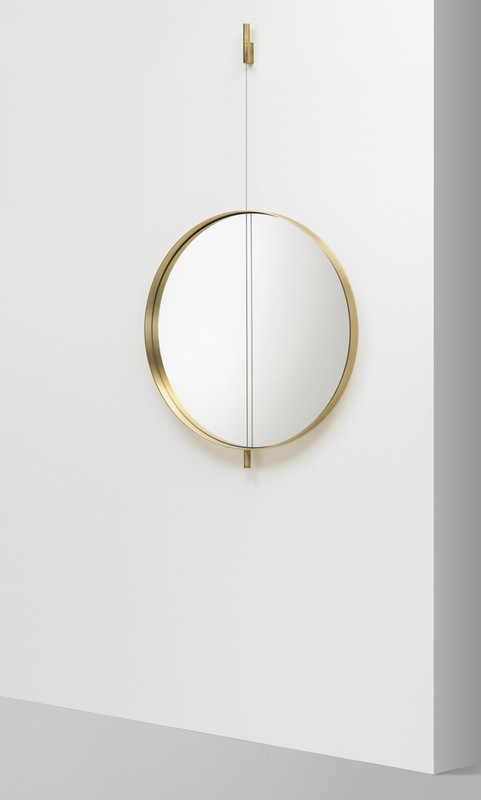 Graceful and intriguing, the Galileo Mirror elevates the common compliment with its poetic inspiration and dynamic design.